If you’re looking for a medical provider who gets to the root of your health concerns and has over a decade of success with patients suffering from thyroid, digestive and hormone disorders, as well as pain and skin issues, then you’ve found the right clinician. 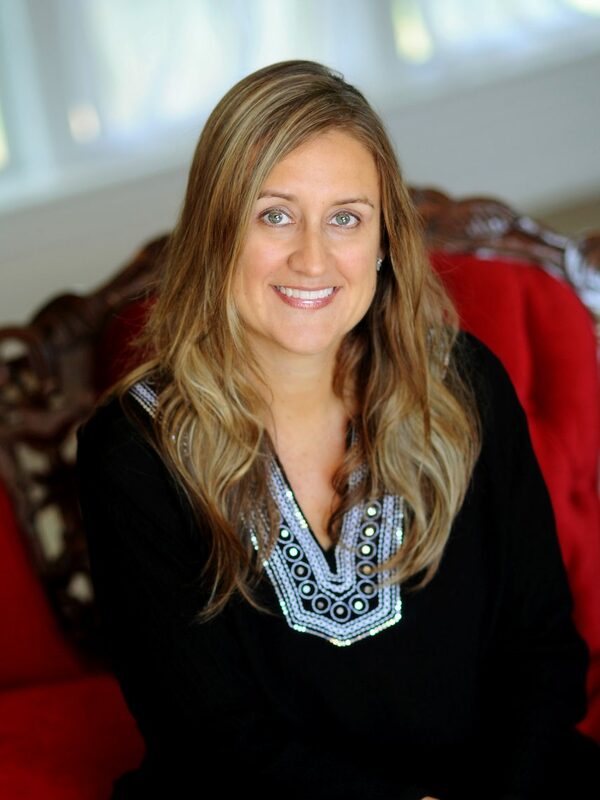 I’m Dr. Kristy McKendrick and I’ve been working with Austinites who want to recover from chronic health and skin issues by using Functional Medicine, Traditional Chinese Medicine, Naturopathy, Acupuncture, Herbal Medicine and Nutrition. Additionally, I’ve received post-graduate training in pain management, sports injury and rehabilitation, functional endocrinology, facial acupuncture and natural esthetic anti-aging treatments. I approach healing and improving wellness by using proven natural healthcare with customized and comprehensive therapies and natural medicines. I got started on the healthcare practitioner route while in my late teens. I was suffering from recurring health concerns and after a long, frustrating process of going to many different doctors and spending a lot of time and money, we found a Naturopathic Doctor and another holistic provider who helped me almost immediately. I was surprised at how fast and gentle the advice and remedies were. Not only was it gentle but it was natural and easy on my body. I later became a healthcare provider because I wanted to help people using these various holistic and integrative therapies that helped me. I wanted to practice a preventative and natural approach rather than a disease management style of medicine. I have a passion for natural medicine and would love the opportunity to talk with you about how it may be able to get you on the road to transformed and lasting health. Leave it to me to root out the real cause of your dis-ease and find a natural method to re-balance your body. If the natural route isn’t what’s best for you, I’ll refer you to a practitioner who is better suited to help you. As a Functional Medicine practitioner, I take a multi-leveled approach to discovering what’s going on with your body and addressing it at it’s root, while using evidence-based medicine to get you to your desired health and wellness level. Our purpose is to promote, facilitate and empower individual well-being and reduce health concerns across Texas. We establish long-term relationships with other medical providers, corporate wellness groups and individuals who want to achieve improved health and wellness. You can count on us to provide effective and cutting-edge natural health and wellness services that improve your health and exceed your expectations. We envision a community of healthy, happy and empowered women and men who have balanced lives and are creating and living the lives of their dreams. They know that being proactive about their health is vital. Patients will partner with us to recover from illness and to keep themselves healthy. We will educate and empower each patient to help bring about deep and transformative healing and health. We provide a welcoming, comfortable and calm environment in which we can completely and compassionately address your concerns. We believe that your body, mind and spirit are not separate entities, but overlapping spheres, with you at the center. We offer a space of honor and integrity in which you can feel safe, valued and respected. We consider diet and exercise to be essential to preventing disease. We deliver health education programs and resources to enable you to make lifestyle and health care decisions that will optimize your well-being and enhance your personal growth and development. This is our commitment to you. We welcome the opportunity to serve you. Education about health matters and natural ways of maintaining and regaining wellness are of utmost importance to me. I have given lectures across the country and have a way of presenting complex health matters in an informative yet entertaining style. Improving the health and uplifting the lives of the Austin community is my commitment. I am available for lectures, seminars and workshops for non-profits, organizations and corporations. Contact us to inquire about setting up a group wellness talk.